English: Indian Sun Dance. 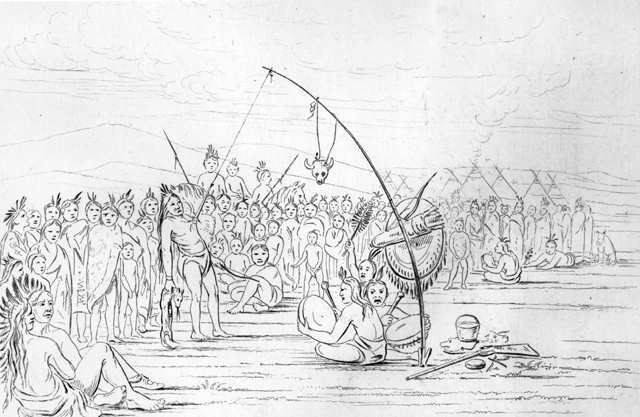 Native American Sioux Sun Dance, a man with his chest skin attached, with sinew, to a pole, drummers, and spectators. Title hand-written on back of book page engraving; "G. Catlin," and "97" printed with illustration. Engraving of a George Catlin drawing. Source Catlin, George "Illustrations of the manners, customs, and condition of the North American Indians."